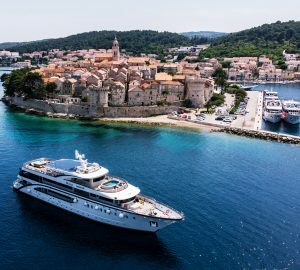 The largest island of the central Dalmatian group of islands in the Adriatic Sea and one of the many lovely destinations to visit while enjoying a Croatia yacht charter in the Mediterranean, is the Island of Brac. 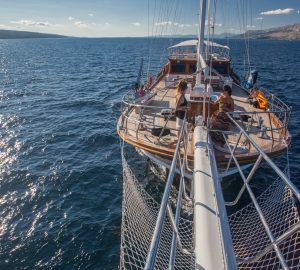 Brac yacht charter in Croatia offers rich cultural and historical heritage that goes back to pre-historic times, as well as mouth-watering gastronomy, splendid beaches and bays, crystal clear sea and friendly hospitality of the local people. 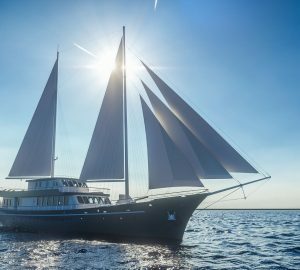 There are numerous outstanding Croatia charter yachts available for rent in the Eastern Mediterranean, including motor yachts, sailing yachts, catamarans or luxurious mega yachts, with many of them listed here. Brac's landscape features predominantly karst limestone reliefs, with many gullies, crevices, round valleys and coves. Formed mainly of limestone and dolomite, the island has been a source for construction of decorative stone works such as amphitheatres, temples, palaces and graves for centuries around the entire coast of Dalmatia. The biggest town on the Island of Brac is Supetar. In addition to the fabulous beaches and restaurants, visitors on a Croatia yacht holiday might find it interesting to visit the parish church of Mary of the Annunciation from the 18th century, surrounded by the Leroj bell-tower and the church museum. Another interesting historical building is the neo byzantine mausoleum of the Petrinovic family, dominating the bay of Supetar with its distinctive white dome. There is also the Ivan Rendic Gallery (1849 ? 1932) of a famous sculptor who's works are dispersed in 51 cities. Church of Sv Luka is one of the nineteen early roman churches preserved on the island of Brac, constructed at the end of the 11th, beginning of the 12th century, situated above the town of Supetar. Perhaps the most visited town on the Island of Brac is Bol, famous for the beautiful beach: Zlatni rat. The little town of Bol is a unique tourist destination, boasting wide gravel and sandy beaches spreading over 10km. Bol hills, together with the Illyrian fortress Kastilo and the Vidova gora, create a wonderful backdrop to the beaches. 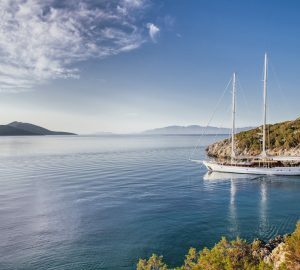 Picturesque, with pristine water and lovely nature, this quaint little town is a must-see destination while visiting Brac on your favourite Croatia charter boat. 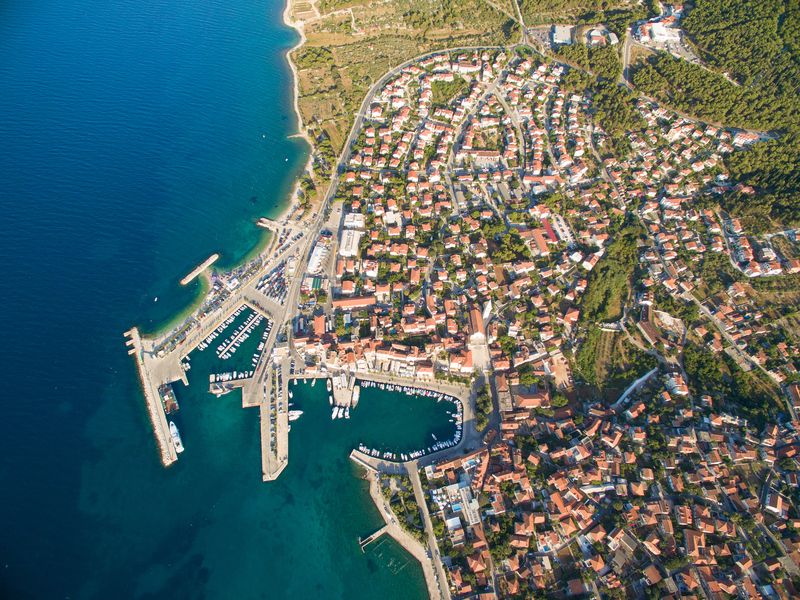 Pucisca is the second largest settlement on the island of Brac featuring original Mediterranean characteristics. The town, just like the rest of the island of Brac is surrounded by olive groves, vines and fig trees. There is a selection of excellent restaurants, offering traditional Mediterranean and Croatian dishes, accompanied by local wines. Numerous historical buildings and sites of interest include the St. Jerolim church, Blessed Virgin Mary church, St Stephen church or the petit church if St George on Bracuta. 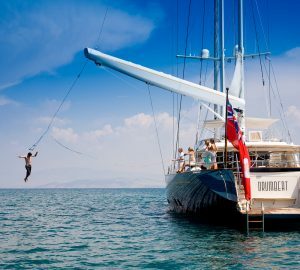 For charter guests seeking entertainment and fun the annual Cultural Summer-Festival offers plenty of concerts (classical, pop, jazz), exhibitions, theatre performances and other interesting events. 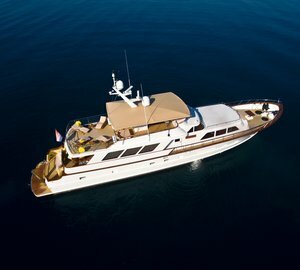 There is a truly amazing selection of destinations and sites to explore aboard your Croatia luxury charter yacht and the island of Brac is only one amongst the many. 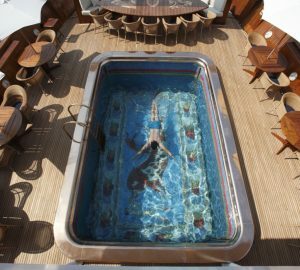 To help you choose the best boat, below is a selection of luxury yachts available for Croatia yacht holidays with more Croatia charter boats to be found here.